The Kenya National Bureau of Statistics released the 2015 economic survey highlights today. According to the report the economy expanded by 5.3% in 2014 compared t0 5.7% in 2013. One of the sectors of the economy that experienced the biggest growth was the ICT sector that expanded to 13.4% from 12.3% in 2013. 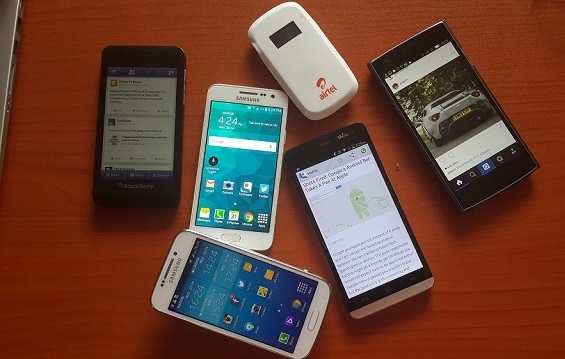 An interesting takeaway from the report was Kenya’s internet penetration which stood at 54.8% of the population or 22.3 million Internet users. Currently around three billion people of the world’s population access the internet which is around 40% of the global population. This means Kenya has by far beaten the global average by far. This growth is attributed to increased affordability of Internet services as provided by ISPs which saw the price of browsing the Internet become more affordable. The growth of E-commerce has also led to increased usage of the internet with Kenyans taking up online shopping. Kenyans have also used the internet for utility services such as online reading of newspapers and online banking services. The government has also heavily invested in e-government services such as online renewal of driving licenses which, have driven the surge in internet usage. Other interesting takeaways included the total domestic Short Messaging Services (SMS) sent that increased by 38.5 per cent to 27.5 billion SMS in 2014. Over the same period, the mobile money subscriptions reached at 26.0 million, representing a penetration rate of 60.6%. cash deposits made via mobile money agents stood at Kshs. 1.3 Trillion while the total transfers increased by 24.7 per cent to KSh 2.4 Trillion. The broadcasting sub section, implemented the digital migration in the country, which added 36 digital Kenyan TV stations to the existing 14 analogue stations.